A Design & Build Project within an 9 floor office building with ground floor reception and retail areas. 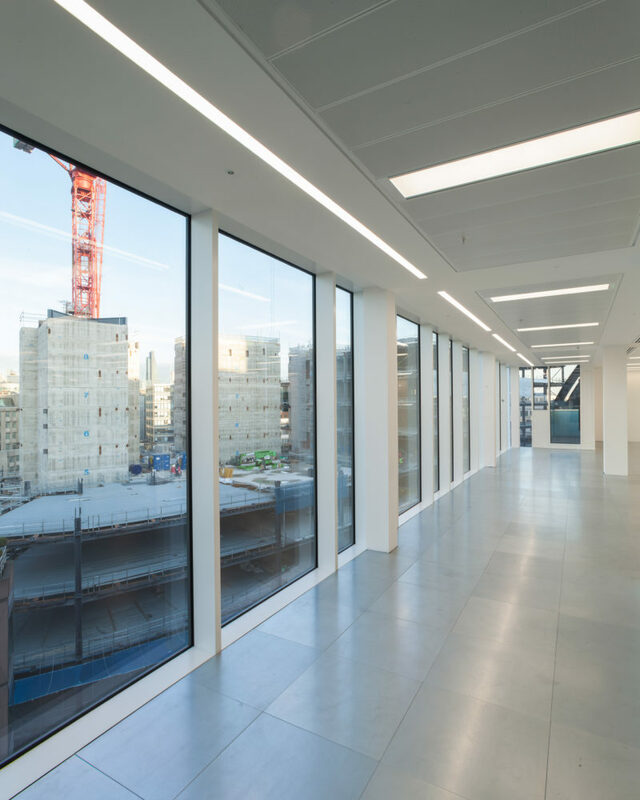 The scheme included the addition of a new 9th floor and comprehensive refurbishment of the building to provide c. 56,000 sq. ft of Grade A office accommodation and ancillary retail. Leonari had full Design and Build responsibility inherited from a Chapman Bathhurst Stage D proposal and delivered this Shell and Core & Category A Mechanical and Public Health services installation on time and to the requisite performance specifications. mezzanine floor in the double height basement which presented us with some unusual co-ordination challenges, which were overcame without compromising the overall programme. The works included design, supply and installation of a new Daikin VRF Air Conditioning System to serve the office floors, new mechanical ventilation distribution and new plant areas on the roof and in the basement areas, new domestic services plant and distribution, new BMS, new drainage, new smoke ventilation systems and a pre-fabricated boiler room at roof level. All systems were completed and brought to an operational state in line with a meticulously planned and sequenced commissioning phase. Leonari worked in close communication with the other sub-contractors, particularly the electrical services contractor, to ensure that this contract was engineered and commissioned correctly for our client, Neilcott. The project completed in February 2017 and the building is fully operational with tenants on most floors.